October. 1932, we founded at MIKI city where the oldest hardware town in Japan. Saboten Co., Ltd always seek new features and "Universal designe" that every user can handle easily. We are also tackling innovation and development that users are requesting for gardening tools. 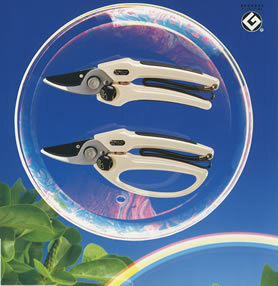 Saboten signed gardening tools have been received high evaluation as useful tool with sharp cut in overseas. Our goal is to contribute home gardening and farmer in the world through our products.